But not enough to pay for the sins of 2018! (Marlborough, MA. April 17, 2019) The nation’s leading investor behavior research firm, DALBAR, Inc. found in its latest research report, “Holders vs. Sellers” that the average investor put money back into the market in January and was able to outperform the S&P over the first two months of 2019. However, this “recovery” wasn’t enough to mitigate the loses in the second half of 2018 and fell far short of what a buy and hold strategy would’ve yielded. (Marlborough, MA. March 25, 2019) The nation’s leading investor behavior study over the past 25 years found that the average investor took some money off the table in 2018 but was still poorly positioned for the second half of the year. 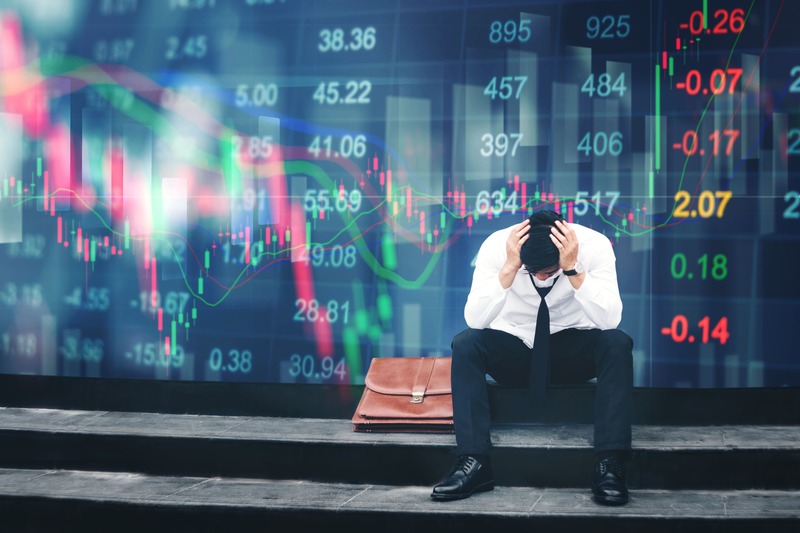 The average investor was a net withdrawer of funds in 2018 but poor timing caused a loss of 9.42% on the year compared to an S&P 500 index that retreated only 4.38%. 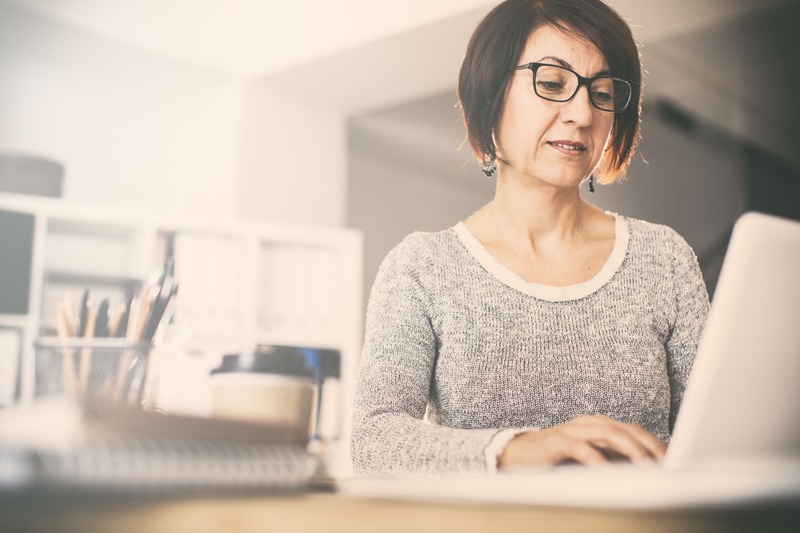 When it comes to using paperless statements to manage finances, it turns out that older women are more tech savvy than many would think. DALBAR announced today that Putnam Investments has earned the Total Client Experience Award for consistently delivering an exceptional all-around contact center experience to mutual fund shareholders. 2018 marks the eighth consecutive year that Putnam Investments has earned this distinction. We are currently in what many refer to as the “Age of the Customer” where consumers across industries are demanding more from the companies with which they do business than ever before. Service has become a key differentiator. While service is important across all industries, it is particularly important for the retirement industry, where the products are complicated and the stakes are high. Financial intermediaries, most notably financial advisors and their staff, play a central and crucial role in the financial services industry. Indeed, with many investors relying entirely on the advisor’s office to transact on their behalf, the quality of service those professionals receive when reaching out to providers is a critical piece of the overall customer experience. Companies across all industries are increasingly recognizing the importance of the customer experience as a means of differentiating themselves from the competition. This is particularly true in the mutual fund industry, where companies are unable to guarantee a long-term performance advantage over the competition. What they can guarantee however, is a consistently superior customer experience. (Marlborough, MA. November 15, 2018) DALBAR, Inc., a leading expert in the financial services industry, today announced that Cory Clark has been appointed Chief Marketing Officer. As CMO, Cory will focus on applying industry best practices to achieve more effective customer experience, regulatory compliance, data security and lower costs. Performance reports are crucial tools in telling the tale of how accounts have performed and five firms stood out during DALBAR’s recent study, Trends and Best Practices in Performance Reporting, which identifies and assesses the factors that help clients understand their portfolios. Merrill Lynch topped the list by a considerable margin and easily proved itself to be the leader in illustrating clients' investment performance. The password is the first line of defense in cyber security but it is also the greatest threat to the client experience. Finding the delicate balance between protection and ease of use was the central focus of DALBAR’s 3rd Quarter WebMonitor of participant web sites. This focus was driven by the growing national concern over cyber security that now requires plan fiduciaries take an active interest in how well participants data and assets are being protected. Even with all of the modern tools at their disposal, financial advisors rely on the contact centers of the financial service providers they work with to transact business and resolve complex issues. The first phase of the DoL Fiduciary Rule takes effect on June 9th, 2017 and financial advisors can check if they are ready with DALBAR''s free online test (http://training.dalbar.com/). The test can be completed in less than one minute with online video training available for advisors who need to catch up. Many sales practices currently being used in the enormous IRA Rollover market are in violation of new FINRA and long standing ERISA requirements but in the absence of proper compliance procedures, the violations go undetected and uncorrected. The common violation in question is the rollover process and not the investment process. For the most part, compliance with existing regulations regarding the rollover act itself has gone unattended while many firms cautiously await a final resolution of the DoL Fiduciary Rule (“DoL Rule”) before making any changes. The year 2016 challenged investors’ resolve. Indices flirted with all-time highs while at the same time geopolitical events made fear an ever-present emotion investors had to manage. Dalbar has been analyzing investor returns for over 20 years and found once again that the average investor did not realize returns that were on par with general market indices. For the 12 months ended December 30, 2016, the S&P 500 index produced an impressive annual return of 11.96%, while the average equity mutual fund investor earned only 7.26%, a gap of 4.70 percentage points. This underperformance is most attributable to January (1.74%) November (1.13%) and December (1.34%). Dalbar recognizes Nationwide for its outstanding service to retirement plans. Nationwide has earned four separate Dalbar awards recognizing the level of service being provided to its retirement plan partners, clients and participants in both telephone and email interactions. Dalbar announced that Putnam Investments has received its 2016 Total Client Experience Award today. Putnam Investments has earned the prestigious award recognizing their commitment to providing a superior level of service when looking at all aspects of the shareholder’s telephone interactions with the company. Dalbar has identified Merrill Lynch, BlackRock, Bank of America Merrill Lynch, Prudential, MassMutual and AIG as the #1 ranked statements in each of their respective peer groups. Today Dalbar announced the winners of the 2016 Financial Intermediary Service Award. (Boston, MA. December 8, 2016) Today Dalbar announced the winner of its annual Insurance Service Award. For the second consecutive year The Guardian Life Insurance Company of America’s (Guardian) Individual Disability Income Insurance topped the insurance contact center rankings and earned the Insurance Service Award. Guardian was the only insurance provider to earn this distinction for 2016. Dalbar announced today that LPL Financial has earned Recognition for Excellence Awards for the level of service provided by its Worksite Financial Solutions and Investor Solutions call center support teams. The Best Interest Contract Exemption forces advisers with IRAs or retirement plans to divest all unreasonable compensation. But what exactly is reasonable? Firms have already spent millions in preparation for the April 10, 2017 date of the Best Interest Contract Exemption (“BICE”) of the DoL’s Fiduciary Rule. The argument has been made that regulating the practice of acting in an investor’s best interest will equate to greater returns as investors’ will receive better investment recommendations. As part of the Best Interest Contract Exemption (BICE), advisors are prohibited from making recommendations that will cause compensation for their services that is in excess of reasonable compensation. Dalbar recently released its study, Meeting the Needs of the High Net Worth Investor, which examined what is most important to wealthy investors when they call, email or visit the websites of the financial services firms they choose to do business with. Dalbar, Inc. announced the Top 5 Quality Rankings across the three most important customer touchpoints of financial services companies: Contact Centers, Statements and Websites, based on 2015 year end data. Dalbar, Inc. released its 18th annual Trends and Best Practices in Investor Statements report which evaluates the statement’s ability to address the needs of both investors and financial advisors. Dalbar, Inc. announced today that Nationwide’s institutional commitment to a superior standard of care earned it four Dalbar awards. The long disputed regulation of advice to IRA and ERISA plans appears to be ending and the requirements are likely to be put into effect within months. Today Dalbar released the 2015 winners of its annual Insurance Service Award. Guardian and Genworth emerged as customer service leaders and ranked #1 and #2 respectively in 2015. Today Dalbar released the 2015 winners of its annual Financial Intermediary Service Award. BlackRock, Deutsche Asset & Wealth Management, Goldman Sachs, and Pacific Life emerged as service leaders in 2015. Today Dalbar announced the winner of its annual award for excellence in sales support. JPMorgan Funds ranked first in the financial services industry for providing a consistently high level of sales support throughout 2015 and, as a result, earned the Dalbar Award for Excellence in Sales Support. Today Dalbar released the 2015 winners of its annual Mutual Fund Service Award. BlackRock, Deutsche Asset & Wealth Management, JPMorgan Funds, MainStay Investments, Primerica, Putnam Investments and Voya emerged as the superior service providers in customer service in 2015. Dalbar, Inc. announced today that BNY Mellon earned Recognition for Excellence for the exceptional customer service they provide as the transfer agent for Pacific Funds, Tweedy, Browne Fund Inc. and Voya Financial Mutual Funds & 529 Plans. Dalbar submitted its response to the Department of Labor (“DoL”) regarding its regulatory proposal, Definition of the Term ‘Fiduciary’; Conflict of Interest Rule--Retirement Investment Advice” (“COI Proposal”). The response contained the findings of an analysis of the effect the proposal is likely to have on investors/participants and on the employers who offer retirement plans. In 30 years of monthly investor returns, Dalbar found that equity investors underperformed the S&P 500 to the greatest extent in October, 2008. In this month, equity investors lost 24.21% compared to an S&P loss of 16.80% for a net underperformance of 7.41 percentage points. Dalbar, Inc. announced today the release of its evaluation of financial services firms’ financial advisor web sites. This evaluation included an in-depth study and review of 39 Web sites. (Boston, MA. January 22, 2014) Dalbar, Inc. announced today that Nationwide was the only Retirement Plan Provider to earn Recognition for Excellence for their exceptional quality of email correspondence with Retirement Plan Sponsors and Third Party Administrators. The Dalbar Recognition for Excellence is only awarded to those firms that exceed stringent standards for communication. Dalbar announced today the 2014 winner of its Total Client Experience Award. For the fourth consecutive year, Putnam Investments was the only firm to emerge as a leader in the combination of quality, accuracy, and security of customer service provided to investors. Today Dalbar released the 2014 winners of its annual Financial Intermediary Service Award. 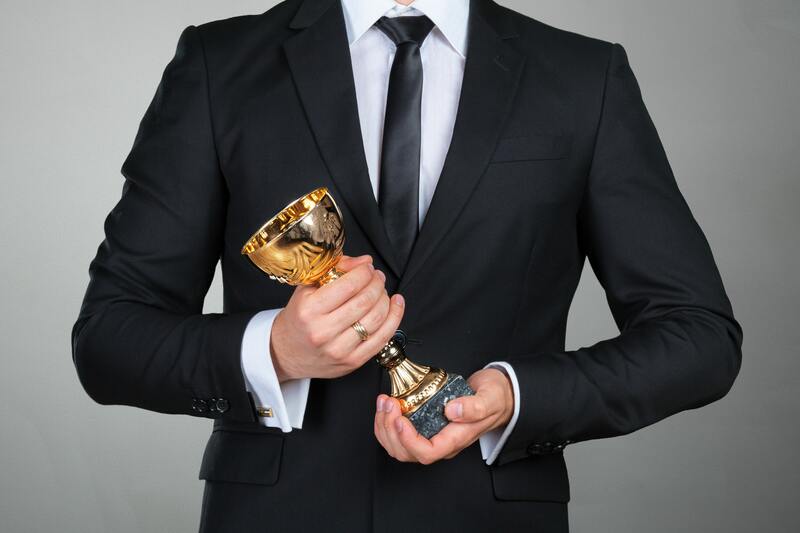 The following firms emerged as award winners and service leaders in 2014 (in alphabetical order): BlackRock, Deutsch Asset & Wealth Management, Goldman Sachs, Lord Abbett, and Pacific Life. Today Dalbar announced the winner of its annual award for excellence in sales support. JP Morgan Funds ranked first in the financial services industry for providing a consistently high level of sales support throughout 2014, thus earning the Dalbar Award for Excellence in Sales Support. Dalbar announced today the 2014 winners of its annual Life & Long Term Care Insurance Service Awards. Genworth ranked first for the high quality of service in long term care and third for the quality of service provided to life insurance policyholders. With this industry leading service, Genworth has earned both the Dalbar Long Term Care and Life Insurance Service Awards in 2014. Dalbar announced today the 2014 winner of its annual Plan Participant Service Award. Within the retirement plan industry, Nationwide was the only firm to emerge as a leader in customer service in 2014. Today Dalbar released the 2014 winners of its annual Annuity Service Award. AIG Variable Annuities, AXA, Genworth, New York Life, Pacific Life and Prudential Financial emerged as the titans of customer service in 2014. Dalbar, Inc. announced today the release of its national evaluation of financial services firms mobile optimized websites. This evaluation included an in-depth study and review of a total of 46 Mobile Web sites across mutual funds, life insurance and annuity and retirement plans. (Boston, MA September 15, 2014) Dalbar, Inc. announced today the release of its evaluation of financial services firms' retirement plan web sites. This evaluation included an in-depth study and review of 48 web sites. Dalbar, Inc. announced today the release of its second quarter evaluation of financial services firms mobile apps. This evaluation included an in-depth study and review of 45 applications. (Boston, MA. July 16, 2014) Dalbar, Inc. announced today the release of its national study of what investors find important and want to see most on the statement they receive from their financial services company. Showing employees where they stand on the journey to retirement should be the overriding focus of every retirement plan participant web site. Unfortunately, this central theme is often relegated to some obscure location, tucked away behind the curtain of security. Operational tools, disclosures, fear of making misleading statements, arcane language and decision making tools have pushed the key question, “How Am I Doing?” off the center stage. (Boston, MA. May 27, 2014) Dalbar, Inc. announced the release of its first-ever social media rankings of financial services firms. Dalbar explored what it takes to be successful in engaging social media crowds by taking an in-depth look at the social media pages of sixty financial services firms. (Boston, MA. May 19, 2014) Dalbar, Inc. announced today the release of its first-ever national evaluation of financial services firms mobile optimized websites. This evaluation included an in-depth study and review of a total of 44 Mobile Web sites. (Boston, MA. April 9, 2014) Dalbar’s annual Quantitative Analysis of Investor Behavior (QAIB) celebrates its twentieth edition of measuring the shortfall in retail investor real returns. Each year, the QAIB report monitors the gap between leading indicators of investment performance and what mutual fund investors actually earn. The report has focused on the fact that in addition to availability and need for cash, the major cause of the shortfall has been withdrawing from investments at low points and buying at market highs. (Boston, MA. March 4, 2014) Dalbar, Inc. announced today that Waddell & Reed earned Recognition for Excellence for its exceptional customer service provided to investors and financial advisors. This is the fourth consecutive year that Waddell & Reed has achieved this level of excellence in serving the needs of both investors and financial professionals. Boston, MA (January 28, 2014) – Dalbar, Inc. announced today that New York Life Retirement Plan Services (New York Life) was awarded the Dalbar Mobile Seal of Excellence for its MYLIFENOW app. Recipients of this award demonstrate excellence in multiple evaluation areas and provide an offering that effectively fulfills a need and proves itself worthy of recurring visits. (Boston, MA. January 9, 2014) Dalbar, Inc. released its 16th annual Trends and Best Practices in Investor Statements report which evaluates the statement’s ability to address the needs of both investors and financial advisors. The firms ranked #1 include: BlackRock for mutual funds, Mass Mutual for defined benefit, Merrill Lynch for defined contribution, Pershing for brokerage, Prudential for total retirement, and SunAmerica for annuities. (Boston, MA. December 18, 2013) Today Dalbar released the 2013 winners of its annual Financial Intermediary Service Award. The following firms emerged as service leaders in 2013 (in alphabetical order): Allianz Life Insurance Company, BlackRock, Deutsche Asset & Wealth Management, Goldman Sachs, Lord Abbett, and Pacific Life. (Boston, MA. December 11, 2013) Today Dalbar released the 2013 winners of its annual award for excellence in sales support. 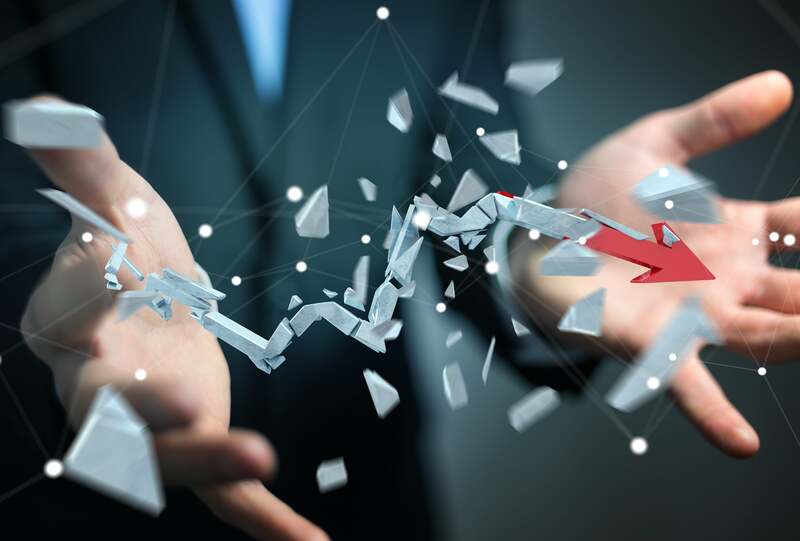 For the third consecutive year, Allianz Life Insurance Company of North America and JPMorgan Funds emerged as the leaders in sales support in 2013. (Boston, MA. December 5, 2013) Today Dalbar released the 2013 winners of its annual Mutual Fund Service Award. BlackRock, Deutsche Asset & Wealth Management, JPMorgan Funds, Lord Abbett, MainStay Investments, Primerica, and Putnam Investments emerged as the leaders in customer service in 2013. (Boston, MA. December 4, 2013) Today Dalbar released the 2013 winners of its annual Annuity Service Award. AXA Equitable Equi-Vest, Genworth, New York Life Insurance TPD Services, New York Life Insurance Variable Products Service Center, Pacific Life, Prudential Financial and SunAmerica Retirement Income Solutions emerged as the leaders in customer service in 2013. (Boston, MA. November 21, 2013) Dalbar, Inc. announced today the release of its first-ever international evaluation of financial services firms mobile apps. This evaluation included an in-depth study and review of a total of 45 applications. North American Professional Liability Insurance Agency, LLC (NAPLIA) Announces Strategic Alliance With Dalbar, Inc.
FRAMINGHAM, Mass. (July 31, 2013) -- Dalbar, Inc. and North American Professional Liability Insurance Agency, LLC (NAPLIA) have formed a strategic alliance offering Dalbar 3(38) Certification and reduced costs on professional liability insurance. Dalbar, Inc. announced today the release of the fourth annual Trends and Best Practices in Explanation of Benefit (EOB) Statements report. This report evaluates the effectiveness of EOBs in addressing the needs of the health insurance plan member. Dalbar released its annual study on investor returns that reports on what individual investors earn from their mutual funds. As in previous years, the 2013 Quantitative Analysis of Investor Behavior (QAIB) study shows the gap between what investors earned over various time periods up to 20 years and the most popular investment indices. Dalbar, Inc. announced the release of its 15th annual Trends and Best Practices in Investor Statements reports for Brokerage, Mutual Funds, Annuities and Retirement Plans. These reports evaluate the statement’s ability to address the needs of both the investor and the financial professional. DALBAR announced today the 2012 winner of its Total Client Experience Award. For the second consecutive year, Putnam Investments was the only firm to emerge as a leader in the combination of quality, accuracy, and security of customer service provided to investors. Today Dalbar released the 2012 winners of its annual Financial Intermediary Service Award. Allianz Life Insurance Company, BlackRock, DWS Investments, Goldman Sachs, John Hancock Annuities, Lord Abbett, and Pacific Life emerged as service leaders in 2012. Dalbar announced today the 2012 winners of its annual Life Insurance Service Award. For the second consecutive year, Genworth was the only firm in the life insurance industry to emerge as a leader in customer service in 2012. Dalbar announced today the 2012 winners of its annual Financial Intermediary Premier Service Award. Pacific Life is the only firm to achieve excellence in the premier service provided to financial professionals in 2012. Global health service company Cigna (NYSE: CI) is the first health plan to be awarded the Dalbar Recognition for Excellence for 2012. Dalbar issued the excellence award to recognize Cigna's My Personal Champion® program that offers specialized support for customers with serious illnesses. Today DALBAR released the 2012 winners of its annual Annuity Service Award. AXA Equitable-Equivest, Genworth, New York Life, Pacific Life, Prudential Financial and SunAmerica Annuity and Life Assurance Company emerged as the leaders in customer service in 2012. Dalbar announces the introduction of its new online tool that estimates the likelihood of a regulatory examination and the penalty associated with an excessive fee finding from such an examination. An important consequence of ERISA fee disclosure regulations is the visibility of fiduciaries who will be required to declare their status in writing after July 1, 2012. While the volatility of the 2011 markets ended with large gains for bond holders and a small profit for equities, the mutual fund investor did not fare as well. Dalbar, Inc. announced today the release of its 14th annual Trends and Best Practices in Investor Statements reports for Brokerage, Mutual Funds, Annuities and Retirement Plans. These reports evaluate the statement’s ability to address the needs of both the investor and the financial professional. Dalbar announced today the 2011 winners of its annual Financial Intermediary Premier Service Award. Pacific Life was the only firm to emerge as a leader in the premier service provided to financial professionals in 2011. Today Dalbar released the 2011 winners of its annual Financial Intermediary Service Award. Allianz Life Insurance Company, Allstate Life Insurance Company, BlackRock, DWS Investments, Genworth, Goldman Sachs, John Hancock Annuities, Lord Abbett and Pacific Life emerged as service leaders in 2011. Today Dalbar released the 2011 winners of its annual award for excellence in sales support. Allianz Life Insurance Company of North America and JP Morgan Funds emerged as the leaders in sales support in 2011. Dalbar announced today the 2011 winners of its annual Life Insurance Service Award. Genworth Financial was the only firm in the life insurance industry to emerge as a leader in customer service in 2011. Dalbar released the 2011 winners of its annual Mutual Fund Service Award. BlackRock, DWS Investments, JPMorgan Funds, Lord Abbett, Mainstay Investments, Primerica, Putnam Investments and Transamerica Funds emerged as the leaders in customer service in 2011. SunAmerica Annuity and Life Assurance Company emerged as the leaders in customer service in 2011. Dalbar’s Registered Fiduciary (“RF™”) program has been upgraded with the addition of the RF™ for IRA that qualifies advisers to meet the requirements of the final regulations on investment advice. These regulations require that investment advice given to any IRA investor or 401(k) participant must meet new fiduciary requirements by December 27, 2011. Thomas Chipain of MÊTIS Investment Strategies has been certified by Dalbar, Inc. to be qualified assume the responsibility of as ERISA 3(38) Adviser. This certification grants Thomas Chipain the rights to use the designation of Dalbar Certified ERISA 3(38) Adviser and to disclose the accompanying credentials to the public and in particular to plan fiduciaries who are obligated to prudently select and monitor their advisers. Recognizing MetLife’s achievements in Group Employee Benefits, DALBAR Inc. presented two of the company’s customer service processes with the DALBAR Recognition for Excellence Award. Dalbar, Inc. has introduced the first in the nation fiduciary designation that unmistakably identifies advisors that commit in writing to act as fiduciaries and have the skills and training to perform at that level of care. Training for the new designation is provided by a number of Qualified Training Organizations or through a self study program. Dalbar, Inc. announced today the release of the second annual Trends and Best Practices in Explanation of Benefit (EoB) Statements report. This report evaluates the effectiveness of EOBs in addressing the needs of the health insurance plan member. In spite of the recovery of the stock market, a general unease continues as sectors of the economy struggle to gain solid footing. Dalbar’s annual Qualitative Analysis of Investor Behavior (QAIB) continues to present ways to reduce destructive investor behavior. (Boston, February 15, 2011) Ever since the release of the regulations on July 15, 2010 broker/dealers have been seeking a method to reliably capture the data required to meet the effective date of July 16, 2011 (which has now been changed to January 1, 2012). These regulations mandate that every covered plan (virtually all 401(k) and most 403(b) plans) must receive prescribed disclosures by the effective date. The problem facing many firms is how to accurately identify all covered plans and secure the required information about each one, since records are not currently maintained in a way that permits compliance. Dalbar and T-Base Communications announced today that they have signed a definitive agreement; Dalbar, the leading independent expert for evaluating, auditing and rating communication, and T-Base Communications, North America's leader in ensuring important customer communications materials are inclusive, accessible, and useable by blind, deafblind and partially sighted individuals. T-Base and Dalbar will work together in launching new Accessibility Criteria that measures the effectiveness of standard Explanation of Benefit (EOB) statements, which are considered to be the most important healthcare communication... reporting on what is covered and what is not! Dalbar, Inc. announced today the release of its 13th annual Trends and Best Practices in Investor Statements report for Mutual Fund firms. This report evaluates the client statements ability to address the needs of the investor. Dalbar, Inc. announced today the release of its 13th annual Trends and Best Practices in Investor Statements report for Brokerage firms. This report evaluates the client statements ability to address the needs of both the investor and the financial professional. Michael B. Glackin of InR Advisory Services, LLC has been certified by Dalbar, Inc. to assume the responsibility of an ERISA 3(38) Adviser. This certification grants Michael B. Glackin the right to use the designation of Dalbar Certified ERISA 3(38) Adviser and to disclose the accompanying credentials to the public and in particular, to plan fiduciaries who are obligated to prudently select and monitor their advisers. How Does Your Explanation of Benefits Statement Measure Up to the Competition? Do you believe your company produces cutting-edge Explanation of Benefits statements? If so, why not turn “cutting-edge” into “award-winning” and promote your company’s commitment to high-quality member communications? T. Rowe Price took top honors in Dalbar’s Second Quarter Rankings of consumer websites, earning the firm an “Excellent” website designation. Do you believe your firm produces cutting-edge investor statements for your clients? If so, why not turn “cutting-edge” into “award-winning” and promote your firm’s commitment to high-quality investor communications? Dalbar, Inc. announced today the release of its national study of what investors expect to see in a statement from financial services companies. Dalbar’s Investor Statement Preferences study identifies the importance of certain elements in investment and benefit statements. Dalbar, Inc. announced today the release of its review of health insurance web sites. This review compared the usefulness of 19 leading insurers web sites. The majority of these health insurer web sites offer many resources and helpful tools for consumers interested in maintaining a healthy lifestyle. In direct contrast, Dalbar’s recent report on the usefulness of the Explanation of Benefits Statement found 68% of them received failing grades. Dalbar, Inc. announced today the release of its first-ever review and evaluation of statements designed to serve the needs of the nation's wealthiest investors and the advisers who work with them. After the initial panic in 2008 and early 2009, investors seemed to regain composure and hold steady for the rest of the year, reports Dalbar’s annual Quantitative Analysis of Investor Behavior (QAIB). In fact, the average equity fund investor surpassed the S&P 500 by nearly six percentage points in 2009. New York Life captured first place in Dalbar's Quarterly Ranking of consumer websites in the financial services industry, followed closely by AXA Equitable, Pacific Life, MassMutual and SunAmerica. Dalbar's 2009 Fourth Quarter Mutual Fund Ranking & Trending Report places T. Rowe Price at number one for consumer websites, earning an "Excellent" designation while Wells Fargo, OppenheimerFunds, Fidelity and Vanguard round out the top five of consumer facing websites. 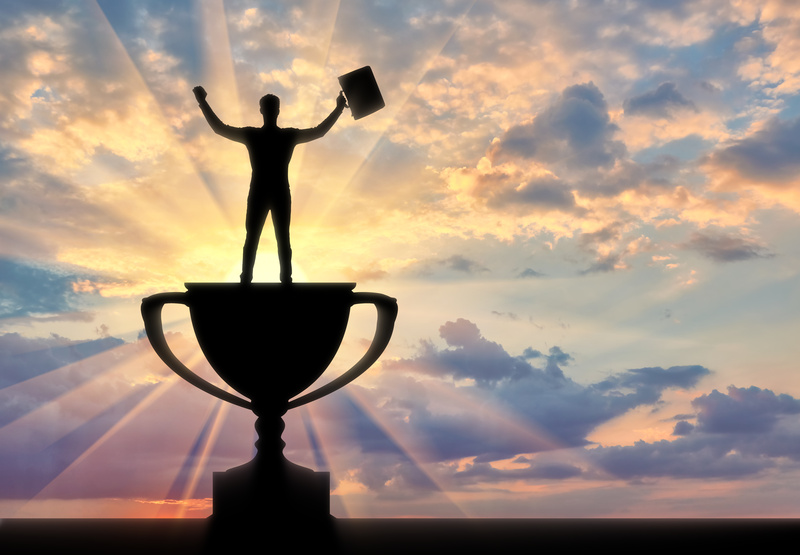 The top spot of the financial professional rankings went to OppenheimerFunds with an "Excellent" designation for the 20th consecutive quarter. American Funds maintained their second place position, followed by Fidelity in third, while Invesco Aim and Franklin Templeton both moved ahead, claiming the fourth and fifth places respectively. Dalbar, Inc. announced today the release of its first-ever national evaluation of health insurance communications, the Explanation of Benefits (EOBs). This evaluation compared the usefulness of the communication from 34 leading insurers, including the federal government's own Medicare program. Goldman Sachs Asset Management (GSAM) earned the top spot for post-sale service provided to Financial Professionals in the 2009 Dalbar SQM Service Award rankings. The Award is a distinction afforded to those companies found to be above their peers in service to clients and to financial professionals after a full year of rigorous testing. Dalbar again recognized industry leaders in its quarterly DC WebMonitor review of plan sponsor Web sites. With its exceptional range of user support features, high usability and impressive offering of Web capabilities, Transamerica wrested the top spot from its peers in the 3rd quarter ranking. John Hancock’s top honors for Usability and high overall performance earned it a second place finish, with Principal earning the #3 spot overall and top recognition for Web site Functionality. Merrill Lynch and Oppenheimer funds, took the fourth and fifth positions, respectively. All of the top five sites received a “Very Good” designation, the second tier on Dalbar’s three-tiered Web site ranking scale. After rigorous testing and evaluation, Dalbar recognized the top plan participant sites in its 3rd quarter DC WebMonitor Web site ranking. Holding its status for the third straight quarter, Schwab Retirement Plan Services was identified as the #1 plan participant Web site. Its extensive level of functionality and numerous onsite support features has enabled the site to maintain its high ranking. Merrill Lynch’s ease of use and range of functionality has placed it in the #2 spot for the second straight quarter. Rounding out the top five are Principal Financial, Transamerica and Fidelity in the respective 3rd, 4th and 5th spots. The top 5 participant sites all earned Dalbar’s designation of ‘Excellent’. T. Rowe Price maintained the number one position in Dalbar’s Mutual Fund Quarterly Ranking & Trending Report, upholding their “Excellent” designation for a 17th consecutive quarter. Other firms earning an “Excellent” designation in Dalbar’s consumer rankings include Wells Fargo, OppenheimerFunds, Vanguard, Fidelity, BlackRock, Invesco Aim, Schwab and E*Trade. In Dalbar’s most recent Life Insurance and Annuity Rankings and Trending report, New York Life and AXA Equitable earned the top two places in the consumer rankings with an “Excellent” designation in the third quarter. Finishing with a “Very Good” Dalbar designation were Pacific Life, MassMutual, TIAA-CREF, SunAmerica, Thrivent Financial, The Hartford, American General and John Hancock Annuities. Dalbar, Inc. announced today that Guardian Retirement Solutions, a division of The Guardian Life insurance Company of America, has been awarded the Dalbar Seal of Excellence for its transaction processing capabilities for the fifth consecutive year. The Dalbar Seal is only awarded to those firms that consistently exceed customer expectations for service levels. Do you believe your firm produces cutting-edge investor statements for your clients? If so, why not turn "cutting-edge" into "award-winning" and promote your firm's commitment to high-quality investor communications? Schwab Retirement Plan Services maintained its position at the top of Dalbar's DC WebMonitor Plan Participant ranking for the second quarter of 2009. Second, Third, Fourth and Fifth place went to Merrill Lynch, Transamerica, Prudential Financial and Fidelity, respectively. In a departure from previous quarters, every site in the top five achieved a Dalbar designation of "Excellent". For the third quarter in a row, Principal Financial's plan sponsor Web site places first in Dalbar's DC WebMonitor ranking while also earning an "Excellent" Dalbar designation for the first time. Rounding out the top five for Quarter 2-2009 are, in order: Transamerica, John Hancock, The Newport Group and Vanguard. Charles Schwab's newly renamed retirement arm, Schwab Retirement Plan Services Company, earned the top spot in the DC WebMonitor Plan Participant rankings for Quarter 1-2009. Schwab Retirement Plan Services, along with Transamerica, Merrill Lynch and Principal Financial, earned a Dalbar designation of "Excellent". T. Rowe Price continued to provide exceptional online service for their Mutual Fund customers while earning the number one position in Dalbar's First Quarter Mutual Fund Rankings and Trending Report. The firm also achieved 15 consecutive quarters with an "Excellent" designation. 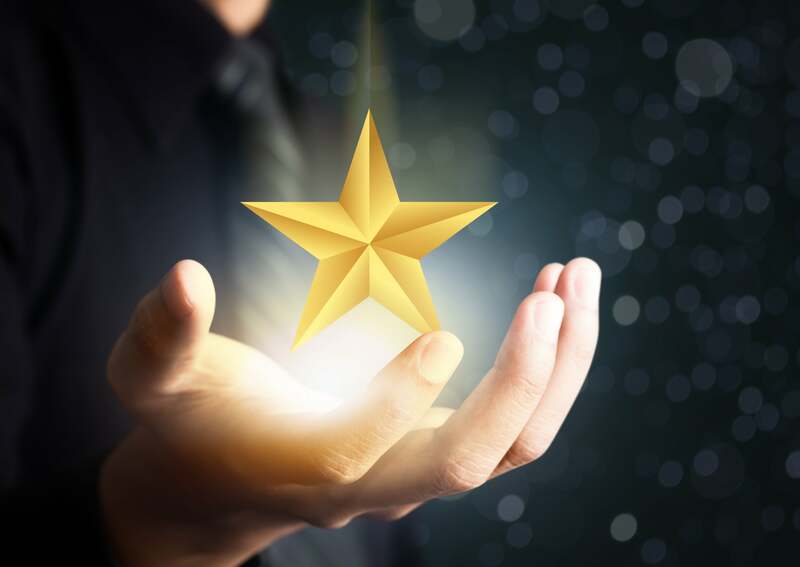 OppenheimerFunds, Vanguard, Wells Fargo, Fidelity, BlackRock and Invesco AIM also captured Dalbar's highest honor, an "Excellent" rating, in the Mutual Fund consumer rankings. New York Life has managed to maintain an "Excellent" designation for 20 consecutive quarters and capture the number one place in Dalbar'S recent Life Insurance and Annuity Ranking and Trending report. AXA Equitable, finishing in second place, has also joined New York Life in receiving an Excellent rank, while firms such as MassMutual, Pacific Life, Sun America, TIAA-CREF and The Hartford earned a "Very Good" designation for consumer websites. By all measures, 2008 was the year that wiped out wealth and Dalbar's Quantitative Analysis of Investor Behavior (QAIB) is no exception. In its 15th annual study of mutual fund investor behavior, Dalbar discovered that equity, fixed income and asset allocation fund investors experienced average annual losses for all time periods examined except the longest (20-year) time frame. And even those positive returns did not keep pace with the average inflation rate. Dalbar announced the introduction of a new service designed to assist retirement plans with the responsibility of selecting and monitoring investments they choose for those employees who don't feel comfortable making their own investment decisions. These investments chosen for employees are qualified default investment alternatives (QDIAs). They were enacted into federal law by the Pension Protection Act of 2006 and implemented through regulations issued by the United States Department of Labor (DoL). Boston, MA (February 13, 2009) – Dalbar, Inc. announced today that Transamerica Retirement Services’, a marketing unit of Transamerica Financial Life Insurance Company, was awarded the Dalbar Seal of Excellence for Communications for its Defined Contribution Plan Statement and its Defined Contribution Plan Participant and Plan Sponsor Web sites, at ta-retirement.com. com. The seal is awarded to outstanding communications that effectively and efficiently meet the needs of both the plan sponsors and plan participants. Before awarding the seals, Dalbar conducts a series of tests on the statement and Web site’s to establish that they meet the principal objectives of its audience.